Ben was carrying around a 60lbs adapted wooden leg. Meet Ben. 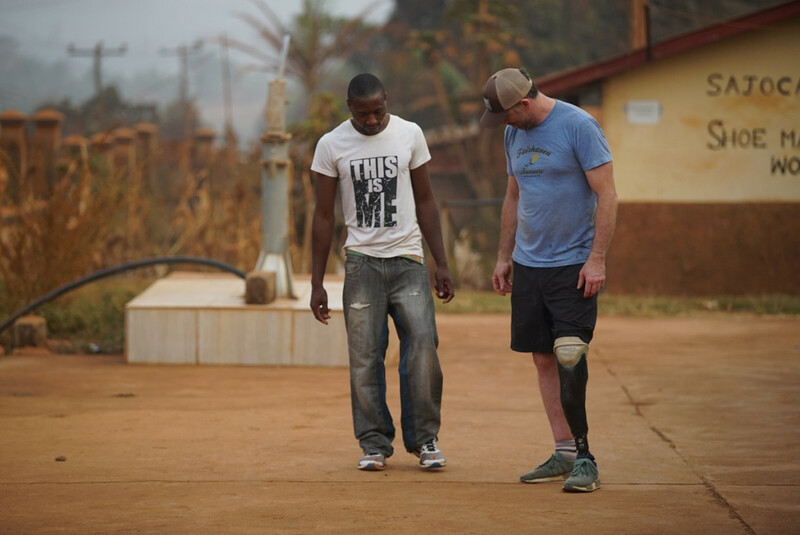 Ben lost his leg at 7 years old after falling out of a mango tree. An untreated break resulted in the amputation of his leg. What we find most inspiring about Ben is his absolute ‘will’ to continue despite his circumstances. He adapted a wooden leg using iron rods and tape – it is incredibly bulky, weighing over 60 lbs! This homemade prosthetic allows Ben to keep his job at the bakery; however the weight is incredibly limiting and he has to sit down every 20 mins. Ben reminds us that our lives can be what we make of it. Ben has never given up, and because of that strong attitude, he’s an inspiration to everyone around him. Ben is up and walking, and will be returning to the bakery – without having to sit down every twenty minutes. It’s people like Ben who motivate us to do what we do.